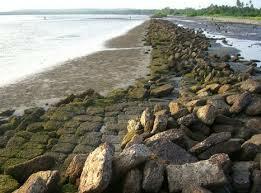 The sheer inaccessibility of Goa by land has always kept it out of the mainstream of Indian History. On the other hand, its control of the seas and above all the lucrative spice trade made it a much-coveted prize for rival colonial powers. Until a century before the arrival of the Portuguese adventure Vasco Da Gama who landed near Kozhikode in Kerala in 1498, Goa had belonged for over a thousand years to the kingdom of Kadamba. In the interim it had been successfully conquered by the Karnatakan Vijayanagars, the Muslim Bahmanis and Yousuf Adil Shah of Bijapur but the capture of the fort at Panaji by Alfonso De Albuquerque in 1510 signaled the start of a Portuguese occupation that was to last for 450 years. Meanwhile, conversions to Christianity started by the Franciscans gathered pace when St.Francis Xavier founded the Jesuit Mission in 1542. With the advent of the inquisition soon afterwards laws were introduced censoring literature and banning any faith other than Catholicism even the long established Syrian Christian community were branded heretics. 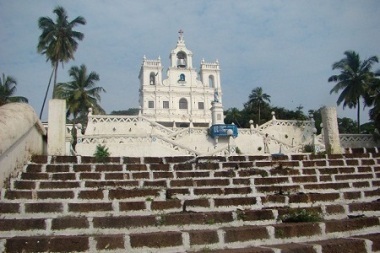 Hindu temples were destroyed and converted Hindus adopted Portuguese names such as DA Silva, Correa and De’Sousa which remain common in the region. The transitional influence of the Jesuits eventually alarmed the Portuguese government. 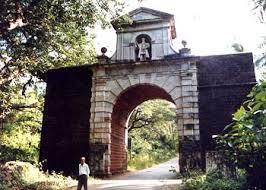 The Jesuits were expelled in 1749 which made it possible for Indian Goans to take up the priesthood. However, standards of education suffered and Goa entered a period of decline. The Portuguese were not prepared to help but neither would they allow native Goans equal rights. An abortive attempt to establish the Goan Republic was quelled with the execution of fifteen Goan conspirators. A spin-off of the British conflict with Tipu Sultan of Mysore (an ally of the French at the end of the eighteenth century, was the British occupation of Goa, a little known period of the region’s history, which lasted sixteen years from 1797. The occupation was solely liberalization such as the restoration of Hindu’s rights to worship, the nineteenth century saw widespread cvivil unrest. During British occupation many Goans moved to Mumbai and elsewhere in British India to find work. The success of the post independence Goans struggle for freedom from Portugal owed as much to the efforts of the Indian Government who cut off diplomatic ties with Portugal as to the work of freedom fighters such as Menezes Braganza and Dr.Cunha. After a “liberation march” in 1955 resulted in a number of deaths and the state was blockaded. Trade with Mumbai ceased and the railway was cut off so Goa set out to forge international links particularly with Pakistan and Sri Lanka. That led to the building of Dabolim airport and a determination to improve local agricultural output. In 1961 Prime Minister Jawaharlal Nehru finally ran out of patience with his opposite number in Lisbon the right wing director Salazar and send in the armed forces. Mounted in defiance of a United Nations resolution “Operation Vijay” met with only token resistance and the Indian army overran Goa in two days. Thereafter Goa (along with Portugal’s other two enclaves Daman and Diu) became part of India as a self governing Union Territory with minimum interference from Delhi. Since Independence Goa has continued to prosper bolstered by receipts from iron-ore exports and a booming tourist industry, but it is struggling to hold its own against a tidal wave of immigration from other Indian States. Its inhabitants voted overwhelmingly to resist merger with neighboring Maharashtra in 1980’s and successfully lobbied for Konkani to be granted official language status in 1987 when Goa was finally declared a full-fledged state of the Indian Union.